With its many seeds, the pomegranate has been associated with fertility and happy bounty in many cultures for thousands of years. The red juice sometimes represents death. Perhaps the most famous occurrence of the pomegranate in mythology is in the story of Persephone, where the fruit symbolizes the cycle of life, death and rebirth. Persephone was abducted by Hades, lord of the Underworld and forced to marry him. She was tricked into eating several pomegranate seeds in the Underworld, where eating anything consigned one to that place forever. At the loss of her daughter, Persephone’s mother Demeter, goddess of the harvest, went into deep mourning causing all the plants to die. Faced with the prospect of an eternal winter, Zeus was forced to negotiate terms with his brother Hades. A settlement was reached. which allowed Persephone to return to the world of the living for several months each year, bringing with her the seasons of generation and growth. Still today, in the Mediterranean region and beyond, the pomegranate symbolizes prosperity and abundance and is often found at occasions of new beginnings. Greeks break a pomegranate on the doorstep on New Year’s day as a blessing of good luck and abundance for the coming year. In Turkey pomegranates are eaten on New Year’s Day for good luck. 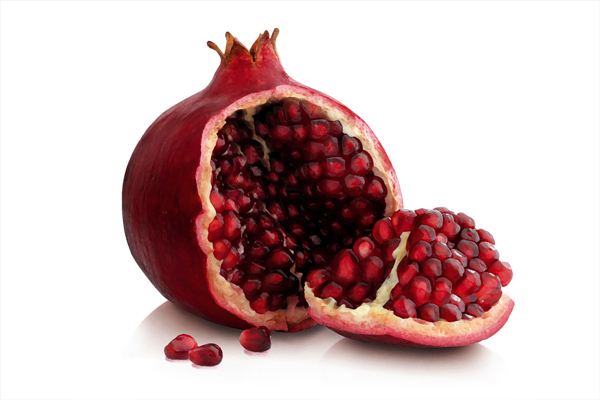 Jews eat pomegranates on Rosh Hashana for the same reason. In Turkey and other Mediterranean countries, newlyweds break a pomegranate on their doorstep before entering to symbolize their hope of fertility and prosperity in their life together. In Jewish tradition, pomegranates are said to have 613 seeds to represent the 613 mitzvot (commandments) of the Torah. Pomegranates adorned the columns of King Solomon’s temple and the robes of the ancient priests of Israel. 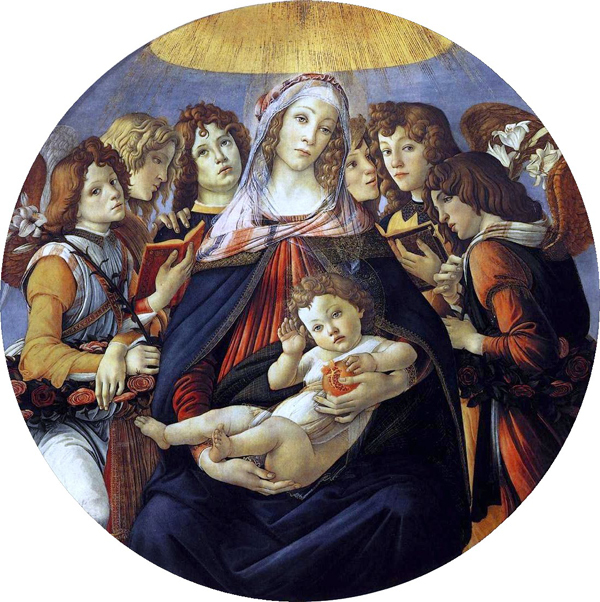 In Christian symbolism, the pomegranate, broken open to expose its many seeds and red juice, represents the blood and resurrection of Jesus. In some traditions, the fruit eaten by Adam in Eden is not an apple but a pomegranate and the Tree of Life is a pomegranate tree. 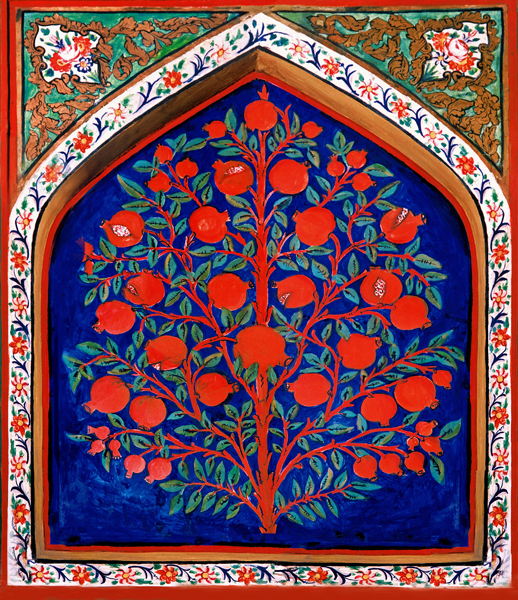 The pomegranate is one of the four sacred trees of Islam, along with the olive, the fig and the date. Islamic tradition tells that one seed of every pomegranate is a holy seed from Eden and has spiritually purifying effects when eaten. This entry was posted in What Does it Mean? Enduring Symbols and tagged pomegranate, pomegranate symbolizes, symbols by yalla2013. Bookmark the permalink. really very interesting story. I love pomegrenates a lot, I have 3 trees in Greece and already found a few recipes for cooking with them. That’s a lot of pomegranates. Lucky you!